In a shot in the arm for Bharti Airtel, Delhi High Court has quashed income-tax department’s move to reassess income of its subsidiary Bharti Infratel beyond four years for 2008-09 for transfer of towers to Indus Towers. The court permitted the company’s writ seeking relief and quashed notice for reassessment, claiming all primary facts were disclosed, stated and were known and in the knowledge of the assessing officer. “….this would be a case of change of opinion as the assessee had disclosed and had brought on record all facts relating to the transfer of passive infrastructure, its book value, fair market value as was mentioned in the SOA (statement of account) as also that the transferred passive assets to become property of Indus Infrastructure Ltd, consisting the dates of transfer and the factum that one-step subsidiary Bharti Infratel Ventures Ltd was created for the said purpose,” the High Court order said. These facts were within the knowledge of the assessing officer when he had passed the original assessment order for the assessment year 2008-09 on December 20, 2010, it claimed. 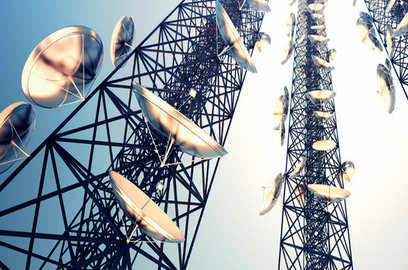 The I-T department had sought to reopen the company’s 2008-09 assessment order to re-examine the transfer of some of the towers got by Bharti Airtel to Bharti Infratel and then to Indus Towers. Tax authorities had contended that the scheme of transfer of assets was examined in the assessment proceedings for AY 2008-09 of Bharti Airtel in light of the scheme of arrangement approved by the Delhi High Court. However, an examination of the scheme it was seen from the relevant portion of the shareholder’s agreement, the annual report of Bharti Infra for 2007-08 and the 2008-09 annual report of Bharti Airtel that neither of the two disclosed full and true intention in the scheme approved by the High Court. “SOA had mentioned the transfer of passive infrastructure of BAL to BIL, a wholly owned subsidiary, and that there was no transfer of assets to a company outside the group,” the department deposited. It was stipulated that shares were not to be published and no consideration was to be paid to the shareholders for the transfer of assets, but contrary to the scheme approved by the High Court, within 15 days of the approval, a shareholder‘s agreement on December 8, 2007, was entered into by Bharti Infra whereby the passive infrastructure was transferred by it to a third party, Indus Tower Limited,” it confirmed. “Bharti Infra had not for even a single day used the passive infrastructure, contrary to what was stated in the scheme of arrangement filed before the high court… The whole purpose behind the scheme was an evasion of taxes, as passive infrastructure assets of Bharti Airtel having written down the value of Rs 5,739.60 crore were transferred at nil value to Bharti Infra and were immediately re-valued at Rs 8,218.12 crores,” it said. The difference between the written down value of the assets transferred by Bharti Airtel to Bharti Infra and the re-valuation of investment had been taxed in the hands of Bharti Airtel.